Afraid to bleach but been meaning to try? No fret, another easy to use product has been tried & tested by yours truly. 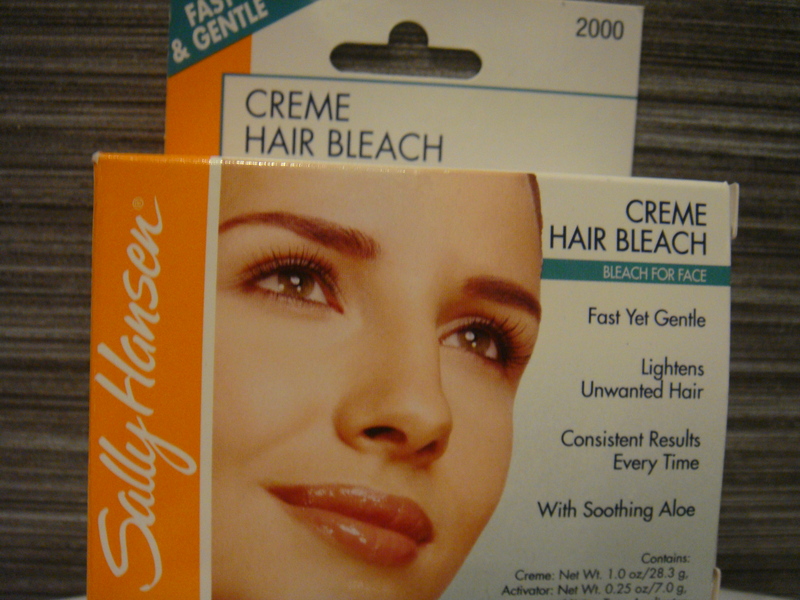 I present to you Sally Hansen's Creme Hair Bleach. Sally Hansen has yet proven how DIY products are safe, easy and worth your money. 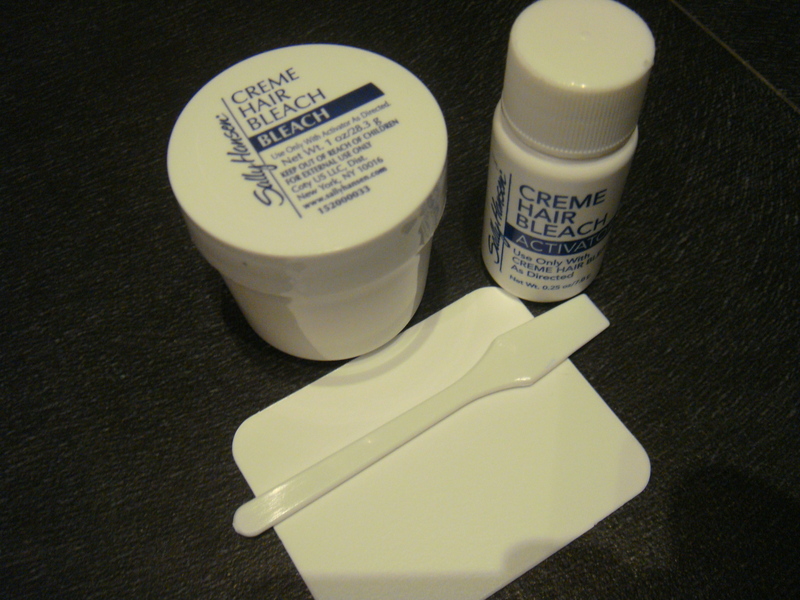 Each kit includes (clockwise from top) : a mini tub of the foam-like bleach, the activator, mini spatula for mixing and a mini cardboard. Plus the instruction manual too (photo not included). What I like about this product is that from preparation to application to rinsing is easy peasy. -Make sure you prepare the area you intend to bleach. Say for the eyebrows or moustache area, rinse first with soap & water to avoid any oil or product residue. Pat dry and apply your mixture. -Mix 1 portion of activator (about a heap full) and 2 portions of the foam-like bleach on the mixing board until it creates a creamy foam texture and you’re ready to use it. This volume of mixture can bleach both your eyebrows & moustache area. -If it’s your first time to bleach the hair be sure to monitor the time. First leave it for 5 minutes, observe and if you still find the shade dark leave it for another 3 minutes. A total of 8 minutes can guarantee you that your hair (eyebrow or facial hair) will lighten to a light brown shade. But if you plan to achieve a “bleached” almost non-visible color, I suggest you leave it for a total of 10-13 minutes. -Remove excess bleach with the spatula & rinse off the area with cold water. Made especially for sensitive skin particularly for the use in the face. It is also very easy to use, perfect for woman on the go & women who are to busy to go to a salon. Price is also affordable (one trip to the salon for eyebrow bleach service is equivalent to one kit). Just like any other bleaching product, you might find the smell strong especially if you use it in the upper lip area, I suggest if you’re bother by the smell to use a nose plug & breathe through your mouth instead. Also a tingly sensation might occur due to the bleach taking effect. Since it’s foamy, you might observe that it feels as if the foamy mixture is bubbling through, worry not for this is normal. Overall my experience with this product was great. A total running time of 20 minutes for preparation, application & rinse. Easy to use, delicate to your face and to your wallet. Each kit can last for up to 8-10 uses, depending on which area you plan to use it. Can it be applied on the head? Thanks! Hello, oh I’m not sure but technically, if it’s safe for fine hair such as the hair in the upper lip and underarm area then I think it’s safe for hair on the head as well. But the thing is the mixture is too little to apply to the hair on head. Available at leading drug stores and supermarkets. Try Watsons or Mercury Drug. Hi Wino, not sure if it can remove thicker hair. I guess it can but it might take a while to do so? Hi Ryan, it’s effective especially if hair isn’t thick.